From the executive producer of 24 and co-creator of Homeland, the exciting follow-up to Gideon’s War involves a harrowing attempt to stop a homegrown terrorist plot to destroy the US government. Gideon Davis has settled into the quiet life of an academic and is weeks away from being married when he discovers evidence of an impending terrorist attack on US soil. He brings his suspicions to his ex-girlfriend, FBI Agent Nancy Clement, but her bosses are leery of Gideon’s source: a meth-head informant affiliated with a white supremacist group. Both Gideon and Nancy become increasingly convinced that a serious plot exists, but their informant is murdered before they can get more details from him. So Gideon enlists his brother, Tillman—newly sprung from prison through a presidential pardon— as an undercover operative to infiltrate a group of white supremacists who may be involved. 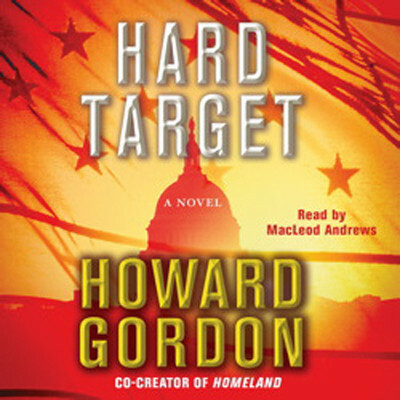 Eventually, Gideon and Tillman get on the trail of the real conspirators and uncover their audacious plan to eliminate the entire top tier of the US government during a high-value, mass-casualty attack. With only Nancy’s support, Gideon and Tillman go rogue to stop the powerful titan behind the conspiracy before the entire government is toppled. With nonstop action and ticking time-bomb suspense, Hard Target will keep readers turning pages and their hearts pumping fast.
" Finishing this book, my first MacDonald, I felt ashamed at not having read him before. What a wordsmith. Some truly beautiful turns of phrase run through the whole book, although at times his use of simile comes off as overdone. While it gets a little talky at the end, I really dug his two or three false endings and can't wait to read more of Lew Archer. A real noir ending, as well, I think, does the whole thing justice. " " The first of Grandmaster MacDonald's Lew Archer series is pretty much what you would expect from a talented young writer trying to emulate Chandler and Hammett. It's better written than most that followed but it's also derivative and obvious. A solid start but he gets better with age and experience. " " Another quality detective novel by Macdonald. It's excellent pacing, and ability to throw suspicion all the individuals involved was excellent. I highly recommend this for fans of the genre, and even those that aren't. " " I had higher expectations. I was bored most of the time. The end wasn't that surprising. I don't want to think that all his books are like this. This is the first in the Lew Archer series so Macdonald could easily find his stride a couple books down. I'll try again some other time. Maybe it was all me. Maybe I over did the mysteries. " " a genre classic. think advanced chandler. solid plot, good writing, a man of his time but way better than chandler in my book. " " Recently I saw "Harper" on TMC & in the introduction learned that it was based on a book by Ross Macdonald. That didn't mean anything to me, but the detective in the book, Lou Archer, was familiar. So I decided to check out one of the series. Since it was written some time ago, things are a bit dated, i.e. a dollar paid for info from someone. The book was okay, & now that I've satisfied my curiosity, I will stick to Bill Pronzini's "Nameless Detective" series. " " This is definitive noir/detective. I didnt realize how much the whole genre owed to MacDonald. I wasnt so sure about the ending, but still this is completely solid and the classic form of the detective novel. " " Clearly indebted to Chandler. Not quite on par, but still pretty damn good as far as hard-boiled mysteries go. " " Loved Ross Macdonald's first book. While written in the 40s it still stands up. " " Ah Lew Archer. Always an avuncular figure just trying to get to the bottom of all things "
" My first exposure to Ross Macdonald and Lew Archer. A good, page-turning mystery in the vein of Hammett & Chandler. Not terribly memorable, but amply enjoyable. " " Very much a continuation of Chandler's style-- the spare narration that occasionally bursts into philosophical wordiness, entangled plot, pervading darkness and pessimism. I enjoyed it immensely. " " The first in the Lew Archer series. Very Chandleresque and even more metaphorical. Didn't exactly knock my socks off, but word on the street is that they get better as the series progresses. " " Macdonald's plots are intricate and some of his prose is remarkably creative. "Soundless as shadows on grass," is one memorable metaphor that I recall. May not be in this book, but a great line in any novel. " " An awesomel complex mystery et in California. Archer is a cynicist, humorist, and idealist somehow all at the same time "
" I can't tell you how many times I've pull this book off the shelf just to read the first page to someone. " " This is the very first mystery from the excellent Lew Archer series by Ross MacDonald. It lives up to the hype! " Howard Gordon is a Golden Globe and Emmy Award-winning writer and producer who has worked in Hollywood for more than twenty years. He cocreated the hit Showtime series Homeland and is the showrunner of the NBC series Awake. He also served as executive producer of the hit television show 24 for its full eight season run. Prior to working on 24, Gordon was a writer and executive producer for The X-Files. His other credits include Angel, Buffy the Vampire Slayer, Beauty and the Beast, Spenser: For Hire, and Sisters. He is an active member of the Pacific Council on International Relations and a current board member and former president of the Stroke Association of Southern California. He serves on the Advisory Board of Princeton’s Lewis Center for the Performing Arts and is a member of the Homeland Security Advisory Council’s Community Resilience Task Force. He lives with his family in Pacific Palisades, California.